Did you know that you are the best people to be wealthy and wise? Did you know that your dream is inside of you waiting to be birthed and blossomed? Did you know that Winners never quit and Quitters never win? Did you know that today is a good day to celebrate you, wherever you are right now, where you have been a winner and where you have never quitted? This Full Moon in Aries, which is ruled by Mars, God of War; it is known as the Hunters Moon. The Total Lunar Eclipse comes before the Full Moon which is at 11:51 BST. I did the meditation from 10:30am till 12:30pm with breaks in between to take account of the beginning, middle and end of the Total Lunar Eclipse. It was absolutely amazing. The downloads were amazing. You can click on the links below to find out more about it. It is so nice watching the sun start to hit the moon after the Total Lunar Eclipse. Below is a very in-depth Energy of Now portal for you to enjoy over the next few days. See you tonight at 7pm. Wednesday 8 October 2014 is the Full Moon in Aries with Sun in Libra (Hunter’s Moon). It is also a wonderful TOTAL LUNAR ECLIPSE (which will be seen in West Asia, West in Australia, Parts of North America, East in South America). The Time of Full Moon 11.51 BST London. The Element is Fire/Air. What is RARE about Total Lunar Eclipse SCIENTIFICALLY? A Lunar Eclipse occurs when the MOON passes BEHIND the EARTH and the EARTH blocks the SUN’s ray from striking the MOON. It only happens when the Sun Earth and Moon are aligned close to earth, with earth in the middle. There is always a Full Moon on the night of the Lunar Eclipse. For me it is a RARE ECLIPSE because I saw it live on the computer in my flat and I meditated from 10.30am to 1.30pm linking in to 3 different meditation and linking in with the time of the actual eclipse via live stream. It is rare scientifically because it is part of a series of four rare total lunar eclipses in a row, known as a TETRAD, which I mentioned in previous blog postings. The first one was in April 15 2014, then this one October 8 2014. The next two will be in 2015 on April 4 and September 28. It is also rare because it might be a rare SELENELION – a celestial event in which the setting eclipsed full moon and rising sun can be seen in the same sky. It will also be a BLOOD MOON or really a COPPER ORANGE MOON at its peak today when the moon will be high in the sky. You may see colours around the moon: red, blue, turquoise. Click RARE eclipse to see video by NASA. It is the HUNTER’S MOON. The Total Lunar Eclipse is the LINE UP of Sun Earth Moon – moon goes through earth’s shadow – earth hides sun. We have a Round Ring of Fire. The planet Uranus is close to the Moon around this time. There are a cluster of stars near the moon today during this eclipse. They are the stars of Pisces. Leaders In my last blog post I talk about cardinal signs (Aries, Libra, Cancer, Capricorn), being signs of natural leadership and go-getters. Both Aries and Libra are similar and are opposites. In this blog I will write about their opposites energy and the contradictions we live in our lives. Contradictions Aries is a sign of masculine active aggressive action while Libra is the feminine Venus loving energy. We have god of War on one side and Goddess of Love on the other side. The vortex energy of this Lunar Eclipse brings with it CONTRADICTIONS from both Aries and Libra. Libra is indecisive; hesitating before making a decision. Aries is DECISIVE and impatient with indecision. Aries is impulsive, wanting immediate action and reaction. Aries is aggressive, independent, assertive, head strong and quick; while Libra is passive, slower, seeking balance and harmony in everything; and wanting to share everything. If you find this extreme energy affecting you by creating a lot of inner turmoil within your thinking and your doing; you know you are being influenced by the energy dynamics of two very powerful opposing forces.. Do you concentrate on your relationship or your career? Do you take only for yourself or do you share? Really this is a great time to be aware of this contradictions in your life. What contradictions are you living???. Information Overload Did I tell you there will be a lot of information overload around this time? No, well there is. Can you not feel it in your life around you now? There is so much to know and so much to do and so much to share so people know you know!!!! Lingering Anger This feeling may prevail for a few days after the incident. This lingering of anger and annoyance is yet to create an eruption. It started years or months or weeks or days ago. You are experiencing this lingering anger due to the fact that you have kept silent and not spoken your mind. You have been nice or polite in the past. But you are having a feeling not to be nice anymore! Practicing Anger is crucial at this time because we need to recognise what is making us angry. Perhaps you have been pleasing people who do not see you as a priority. Perhaps you have been pleasing others to be liked and you are tired of this. Perhaps you have been bullied and controlled for so long and it is time to stop this happening to you. Perhaps you need to stop being a victim and start living your life. This is such a wonderful and challenging time for you; and the decisions you make today, will affect you for the next few weeks, months and years. Choose Choose to start living your dream. Choose to start living your life. Choose because you choose to. Choose to stop living out your mother’s /father’s /etc. idea of what type of life you should have. Choose to be authentic to who you are becoming now. Do not live in your past. Do not let your past dictate your life. Fire rises and Air encourages it. We have two energies working together and working against each other all at once. This is the challenge as some of you will experience in your personal relationships. FIRE up your life with the spark of motivation and action to be more than you thought possible. This powerful vortex of healing FIRE ENERGY is really a time of great purification and resurrection. Fire is expansive and adventurous. Fire is liberating and exciting. Dance in the flame of fire. Merge with the flame energy. Be at one with the flame energy. There are many ways to work with the energy of fire and we will be working with some of them during the workshop. Judgment from Others on Your Life This TOTAL LUNAR ECLIPSE reveals secrets buried deep within you that you want no one to know about. You do not want them to be known by others and you definitely do not like others talking about your life, from their own perspective. Your Truth is Your Truth, not these to discuss as they want. Not to be shared to them on any level. Denial You do not want to reveal the past; even to yourself. You want to keep it hidden; as if keeping it hidden; will enable you to live a happy life; and you can pretend IT never happened and it was all a bad dream. This is the fear of your truth coming out, truth that is known only to you and not to others. This is the part of yourself you want to keep private and confidential; and find that it is not! Others have their own opinion about your live and you cannot stop their opinion; as it is forged by their own private lives and experiences. You know that you cannot know everything about their private lives; but they have no right to discuss your life!!! Can you feel the vortex of rage building up? Our rage at their judgement of our lives can be intoxicating! Watch out for this. So is the best thing not to have any opinions? Do you have opinions about other people and do you share it sometimes or always? Then why get angry when others do the same with your life? Throat Chakra We mentioned the energy of the THROAT CHAKRA being a strong powerful vortex of utterances in our last blog posting. The need to cough and clear your throat is important with this Full Moon. You may have a cold or cough that slows you down and tells you to go inward – like to the womb – away from others. You need to roar like a lion or a tiger or howl like a dog or a wolf. This is the time to sound and express your pain. Speak you must. Be heard you must. Your desire to express boldly is important to your clarity in your own personal life. Be clear. You may ramble as you try to get clarity. Ramble till you get to the place of clarity. Well Done. Boundaries This is the time to be clear about your boundaries and to declare your boundaries. This is the time to celebrate how you have done that and how you are going to continue doing that. Celebration What you have done to date; that makes you proud of yourself? Did you celebrate your birthday, a new job; a real realisation of personal power; or greatness of your potential. Could you be celebrating a new you birthing this Full Moon Total Lunar Eclipse? our path of more ascension – if you are ready and wanting. The whole of this year has seen a lot of energies coming into Mother Earth through the vortex of AIR and FIRE. This particular download will be full of FIRE CODES and SPIRALING AIR CODES. You will see the symbols and shapes specially sent down for you. BE ready to receive them. 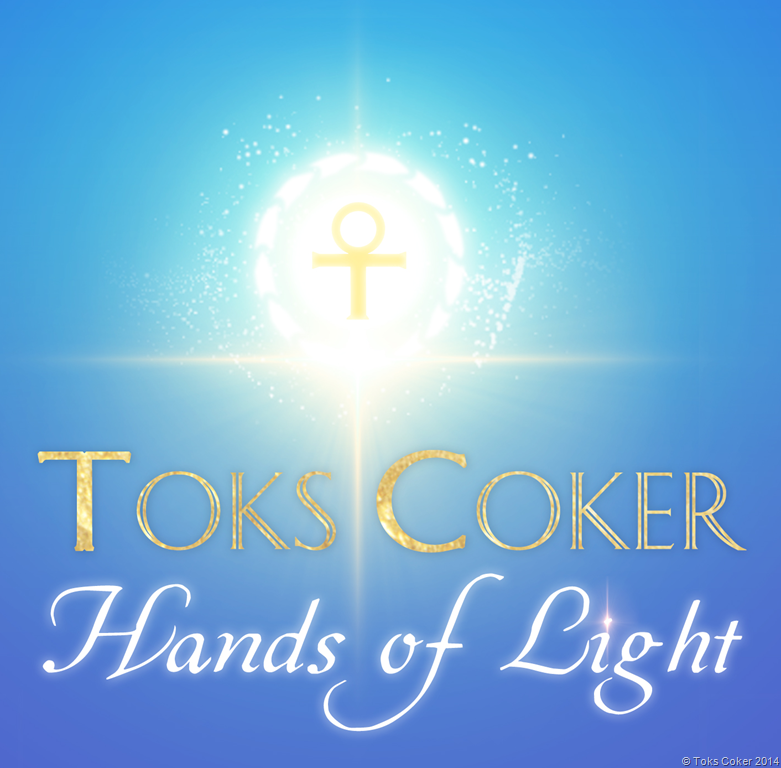 I, Toks Coker, will be holding the vortex in the Moon Gathering tonight. Come one, Come all. You have to be here to receive. If you cannot be here you can link in and pay on line £44. Trust You will find yourself questioning your abilities and your sense of duty with your work, your family, your partnership, as well as, with yourself. The questioning triggers the need for TRUTH and TRUST. This is the time to Trust your process and the way you are developing; though you may not notice you are developing; and that you have developed a lot this year, especially in the last 3 months. Take a minute to really feel the last sentence and note how you have changed, and developed over the past 3 months. Celebrate that. Trust yourself more. This vortex will be bringing in the energy of the vortex tonight. Problems Practical application to your specific problems or issues will be dealt with in this powerful vortex of healing light Full Moon Circle gathering. Your Soul Plan will be downloaded to you during this vortex as the heavens open up to you. All you have to do is allow yourself to receive the impressive, magnetic messages of empowerment for your personal life. Are you ready to receive this? Are you here tonight? Support Others This is a time to support others in their transition; as it is not only you going through a healing transition. This transition will invite in a fullness of spirit light and help you release and challenge your fears. Anything that involves releasing fears may be turbulent so be gentle with yourself and others during this time vortex. What is this Total Lunar Eclipse about ENERGETICALLY? T he Eclipse reveals and hides at the same time. Revelations What is it revealing to you? This Full Moon Total Lunar Eclipse will reveal a hidden truth and will reveal something you have kept under the carpet. It will reveal a truth you need to address in your life, your relationship, and your business; before you can really move on in the fullness of your own private life. Old situations and feelings come up and you thought those where resolved or gone! And they are not. They suddenly arise within you unannounced and you are unprepared for the feelings that rise up like FIRE rising up. The element of Fire rising in Air can be combustible destroying what was and burning everything to ashes; allowing you only one way – the way to RISE RISE RISE up from the ashes like a golden or red phoenix. Which one will you be? Hidden What are you hiding? What is the Lunar Eclipse hiding from you? What is hidden, deep within your unconscious mind; in the deep recess of your mind; and your soul? What is burying itself deep down in your heart where no one can see it? What is hidden is revealed by the light of the Full Moon. BELIEVE you will create magic in your life; as well as, in another persons life. Believe in yourself. Listen to your inner whispers telling you to believe in yourself. Believe in yourself. It is a fundamental component of success. Your belief or lack of belief is what causes your problems. This is a time to apply yourself for your sake. JUST APPLY YOURSELF to your dreams. Say YES to your MAGIC LIFE. Do you believe you can have a MAGIC LIFE? Energy says you can. Sacred Contracts will change with this portal and over the next 6 months enabling a freeing of your energy vortex and the true alignment of who you are here on earth. You may be given a dream, a new vision, a new direction. The old sacred contract may be modified or changed completely as it has lived up to its fullness and we celebrate the completion of our sacred contracts and let that go. A fuller dream will burst forth with a sacred contract only you can fulfil. No one else can live this dream for you. Only you can live your dream. Live it. Our Stories Listening to other people’s stories can liberate us as it steers our hearts; an d opens up possibilities and insights. When you birth a dream you blossom and bloom as the Full Moon blossoms and blooms shining its glorious light over all of us. This Full Moon determine to do something fulfilling for your life and do something different so you will have a story to tell about your life when you are old. Make the story of your life bloom. Tell a story about your life that shows you blooming now. It takes 9 months to birth a child and complete the fullness of your journey of carrying your child. When you birth your new beginning you start a new journey till you reach fulfilment. This is the cycle of life. The baby in you is your dream you birth forth. It is your seed that blooms, which you planted in the New Moon? What have you bloomed this Full Moon in Aries? What warrior energy has birthed forth in celebration of your life? Congratulations. Remember the journey is the process and the growth path to fulfilment and blooming. What story will you be telling in 5 years time? What story will you be telling next week? With all the energy vortex it is a good time to remember to call for Divine help. Call on Upper Management for help. Call on the angels and your guides to help you. I can see Kali, the Hindu Goddess, coming forth ready to help you when you call on her energy to help you. YOU can call on the Sun Gods, Horus and Apollo, and the Solar Birds, Hawk or Falcon; to help you with the energies. Did you know that Horus is also known as God of War and Hunting? This Full Moon in Aries, which is ruled by Mars, God of War; is known as the Hunters Moon. Apollo helps with renewal, rebirth, protection, clarity, intelligence, healing and growth. Apollo is God of Archery, so with his bow and arrow, he kept his goal in mind; aiming for his target and achieved it. Call on Apollo to help you ground your energy and aim to achieve your goals. Celebrate with Apollo your successes. Also known as God of Medicine he healed and protected. He was an Oracle too and loved music and poetry. Again we see the Throat Chakra singing and reciting…..
AIR Animal Totem The Hawk with Horus is associated with the Soul and death and rebirth in the afterlife. Both Falcon and Hawk are associated with visionary power, wisdom, protection, success, victory and rising above a situation. They are messengers of the Gods. We call upon the help of the Animal Totems for determination, concentration, attention, focus, and purpose. The Hawk is protector of Souls and their journey after life. They are powerful animal totems that are Shape Shifters. Spirit-Hawks send messages from the ancestors in Native American tradition. They are like angels. They encourage perception, intuition, and have an overview of life as they fly high seeing the bigger picture. They see into the future. Hawk totem help you to be honest, and direct, as well as, loyal. They help with problem solving, enabling us to see clearly the whole situation. They are leadership animal totems like Aries and Libra and have a potent energy that creates an intense vortex of healing power. Keep your eyes on your target – on your goal – and fly towards it. Hawk totem celebrates our victories with us. Hawk expects to win and wins. Simple. Remember the quote at the beginning of this blog: Winners never quit and Quitters never win? FLY FLY FLY me to the Moon…… FLY FLY FLY like a Hawk or Falcon. What will we cover during this healing meditation moon circle? What things have you achieved in the past 3 months? Do 11 things exquisitely on 11 October. Do 11 things exquisitely to celebrate this Full Moon Lunar Eclipse. Book a Wisdom Life Reading with Toks and come shuffle your cards. Read the blog and answer all the questions asked in each section. Read the Invocation Blessing SILENTLY / ALOUD and feel the energy of the words. Hi, I hope you enjoyed this post. Drop me a line and let me know how you found it. It would be nice if you would LIKE my blog and fan page and follow me on twitter. Don’t forget to join my mailing list too & receive your FREE GIFT 7 Days 7 Chakras. If you use any of my work or my pictures please give me the credit due; and pass on my blog and website.